We first heard about Drew Bledsoe’s ‘Doubleback’ from our good friend Jennifer Williams-Bulkeley, based in Boston, Massachusetts. When she came across Drew’s wines she knew we just had to get involved, so she introduced us to his team and arranged samples to be sent over. As we gathered our members together at one of our wine tastings and unpacked the first bottle of Doubleback we were all instantly struck by the bottle’s unwavering yet strikingly elegant impression. Once uncorked, well, the rest is history! 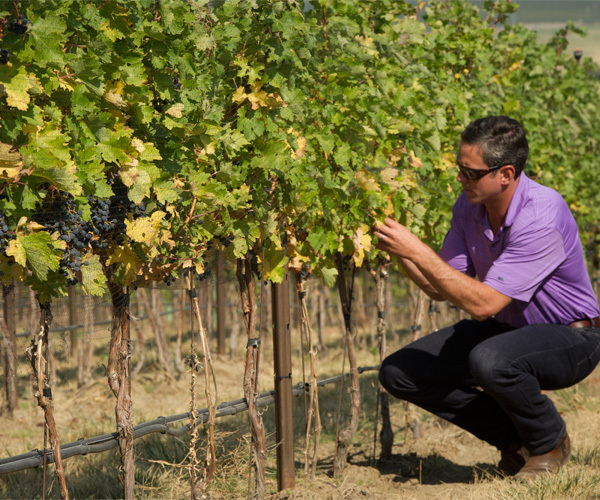 For former NFL Quarterback Drew, owning a winery has been a longtime aspiration that would allow him to combine his passion for fine wine and love of the Walla Walla Valley. Drew returned to his hometown in 2007 to plant his estate vineyard. The following year, Drew launched Doubleback, an estate-focused winery with the goal of producing ultra-premium cabernet sauvignon from the Walla Walla Valley. To make this dream a reality, Drew collaborated with his childhood friend Chris Figgins of Figgins Family Wine Estates. Chris consulted on all winemaking and vineyard practices while training current winemaker, Josh McDaniels, who assumed the role in 2015. Since the first release, the 2007 cabernet sauvignon Doubleback has received numerous accolades including a spot on the Wine Spectators Top 100 list. The vision for Doubleback remains to be a premium wine experience completely focused on quality. To further assist the production of high-quality Walla Walla Valley fruit for Doubleback, Drew acquired a second estate vineyard in 2011. 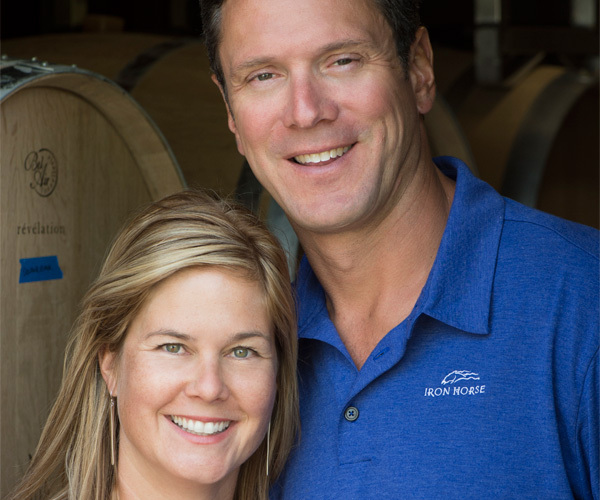 Drew and Maura Bledsoe are committed to only using the best viticulture and winemaking practices to ensure that Doubleback will be one of the best bottles of wine you will drink. The name ‘Doubleback’ derives from Drew’s life journey. In his own words: “Doubleback is purely about a small-town kid that grows up in Walla Walla, goes off and has some success and then doubles-back and comes back home”. That “success” is something of an understatement and typical of Drew’s humble nature. A four-time Pro Bowler and Superbowl winner in 2001, he played fourteen seasons as a Quarterback in the National Football League (NFL). He is best known as the starting QB and face of the New England Patriots from 1993 to 2001. He then went onto play for the Buffalo Bills and Dallas Cowboys before retiring from the sport in 2007. For his accomplishments in New England, he was inducted into the Patriots Hall of Fame in 2011. 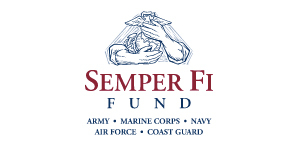 The Semper Fi Fund provides immediate financial assistance and lifetime support to post 9/11 wounded, critically ill and injured members of all branches of the U.S. Armed Forces, and their families, ensuring that they have the resources they need during their recovery and transition back to their communities. We work to ensure that no one is left behind. Since establishing the Semper Fi Fund in 2004, we’ve issued 125,000 grants, totaling more than $138 million in assistance to over 17,500 of our heroes and their families. The Semper Fi Fund was created by a group of Marine Corps spouses in early 2004, and those same women run the Fund today alongside other spouses from all service branches and retired service members, all of whom intimately know the needs of our military families. We have been by our injured and ill service members’ sides from day one, helping them as they navigate lengthy recoveries and rejoin their communities. Qualifying post-9/11 Marines, Sailors, Soldiers, Airmen, Coast Guardsmen, and reservists with amputations, spinal cord injuries, traumatic brain injury (TBI), severe post traumatic stress disorder (PTSD), burns, blindness, other physical injuries, or those suffering from life-threatening illnesses. We also help spouses and children of active duty service members who face a life-threatening illness or injury. The Semper Fi Fund has been awarded the highest ratings from watchdog groups: an A+ Top Rated Charity from CharityWatch – one of only two veteran nonprofits to receive this rating last year – and six consecutive “4-Stars” from Charity Navigator, an achievement attained by only 3% of rated charities. We maintain an extremely low overhead; since our inception, our overhead has averaged only 6% of revenue, and we provide rapid assistance with no red tape. We at Doubleback are very excited that our first venture with the UK market is teaming up with Sporting Wine Club. We love the concept and having recently watched our New England Patriot team at Twickenham, the home of rugby, we can't wait to build on this sporting relationship. Knowing that a donation from each of our bottles sold to SWC members is going to our chosen charity, Semper Fi Fun, is an added bonus.